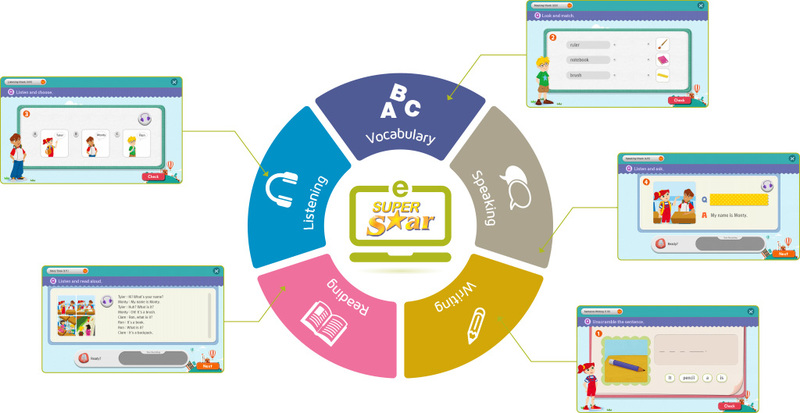 e-Super Star is the on-line learning platform for students as well as the learning management system for teachers. Students reinforce their language skills of Reading, Writing, Listening, Speaking and even Vocabulary while practicing the additional activities in e-Super Star. The on-line tests help students find their strengths and weaknesses and plan the future study they need to focus on. Students’ learning progress is monitored and managed effectively through the Learning Management System. For both teachers and parents will see the reports on screen and also print it out to consult students. The analytic data on each student’s progress will be provided in various forms. - On-line Study is designed to develop the 5 language skills. - It helps students improve their weaknesses while completing each activity. - Online Test is designed to assess students’ achievements carefully. 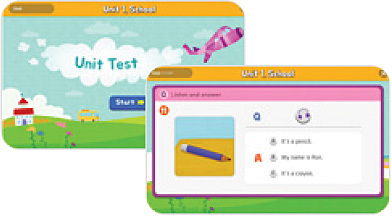 - Students can challenge the On-line Test only after completing all activities in each unit. - Unit Report shows the results of the Unit Test. It provides diagnostic analysis on the result in the forms of score, graphs and detailed comments. - Progress Report shows the accumulated test results. 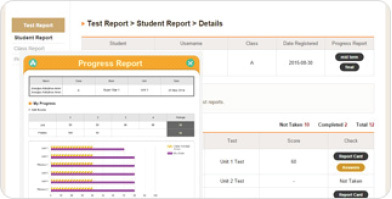 Teachers and parents will check the progress of each student easily on the report. Progress Report will be provided only after Midterm and Final sessions. - Teachers will make their own virtual classes. 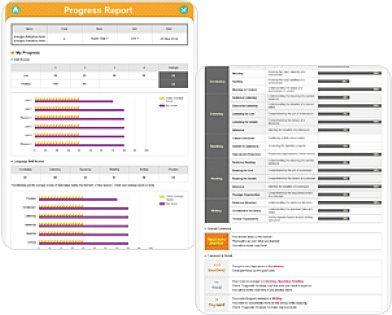 - Teachers will monitor each student’s activities, test scores and report cards on the same screen. 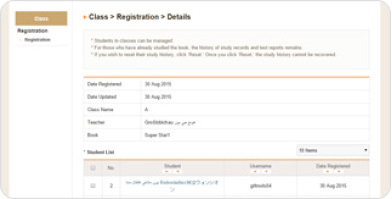 - Teachers will manage students’ progress and history class by class. 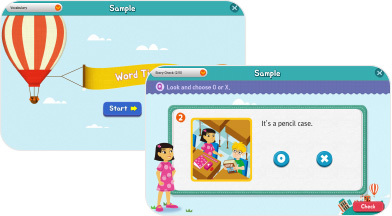 - Teachers will download various teaching materials to prepare their own lessons.